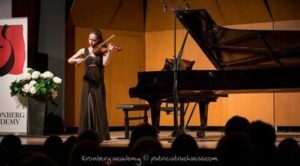 In May 2017, Tatjana joined the Kronberg Academy Violin Masterclasses in Germany. 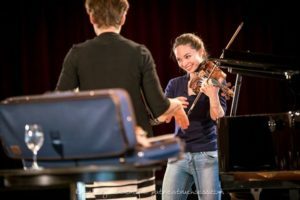 Since 2009 the Jürgen Frei Music Foundation in Bad Soden has been awarding the promotional prize worth €10,000 to one of the active participants in the Violin Masterclasses who is chosen by the teachers. The prize – named after Manfred Grommek, who lived in Bad Soden and died in 2007 – should preferably be conferred on “a young musician at the start of his or her musical career with recognisably great development potential”. 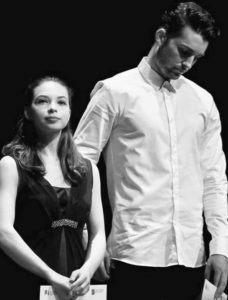 The prize includes two performances in an orchestral concert and a chamber concert in Bad Soden am Taunus or the local area in the course of the following two years. Tatjana shared the 2017 prize with Niek Baar.